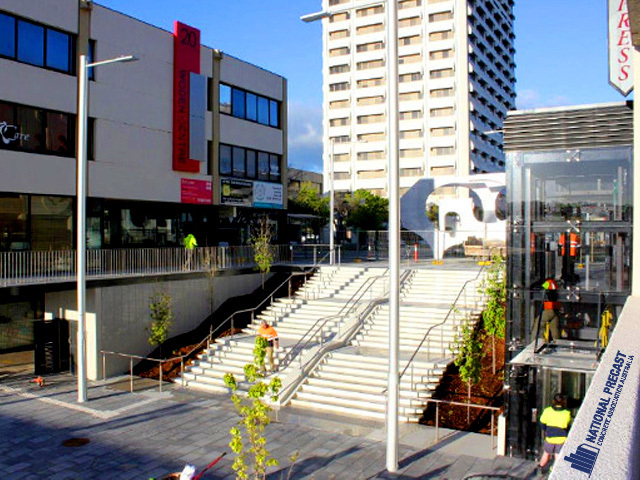 Commissioned by the ACT Government, this stylish stairway at the Woden local bus interchange provides access for both pedestrians and cyclists and proves the durability and flexibility of precast concrete. There’s a wide-ranging appreciation for innovative designs using precast concrete. 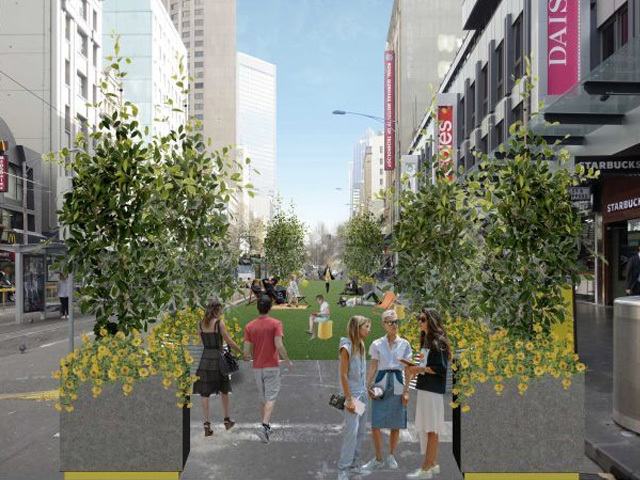 As just one example of how precast can be applied in a unique and innovative way, the ACT Government is giving Woden commuters another handy method to whizz around through the renewal project of the local bus interchange. This project boasts a functional and visually pleasant feature: a precast concrete stairway that caters not only to pedestrians but cyclists too. The list of requirements for government projects are rigorous and absolute, and this project was no exception. 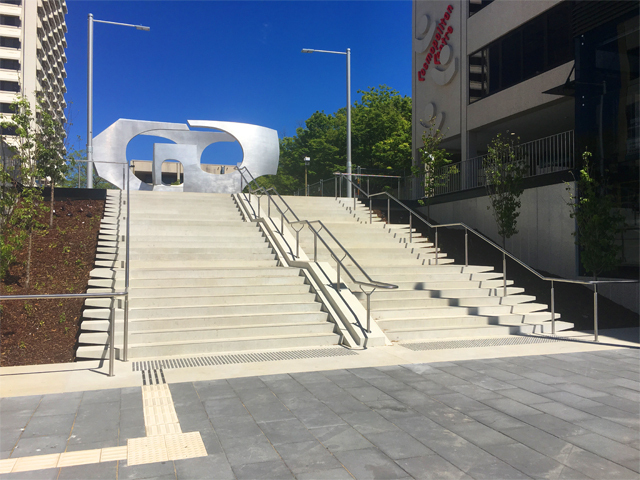 Durability and minimal longterm maintenance costs were at the heart of the ACT Government’s decision to procure the precast stairway. The architect’s vision combined with these demands required a solution that could produce a high-quality product with superior weathering and corrosion-resistant qualities. The stairway was to be installed with minimal disruption, and therefore precast was the only way to ensure all criteria were successfully met. 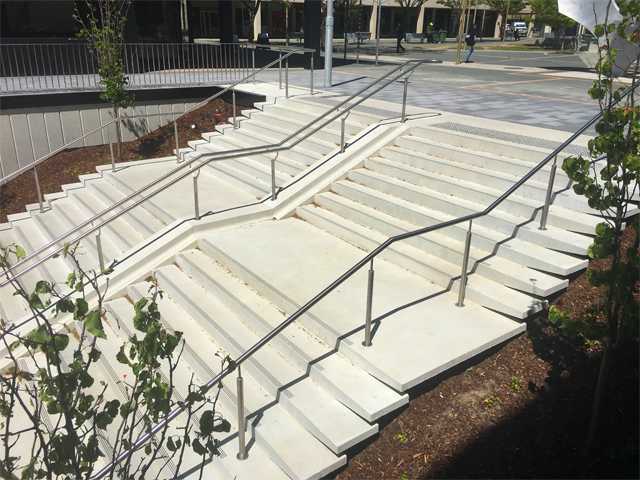 The innovative architecturally-designed stairway improves accessibility and safety for both pedestrians and cyclists alike, “keepin’ it wheel” on the user-friendly front. Between two sets of stairs, dual bicycle lanes have been incorporated, allowing riders to trundle their bikes alongside them. The complex floating stairway design is striking in appearance and ensures functionality, allowing cyclists to commute hassle-free with their bikes. 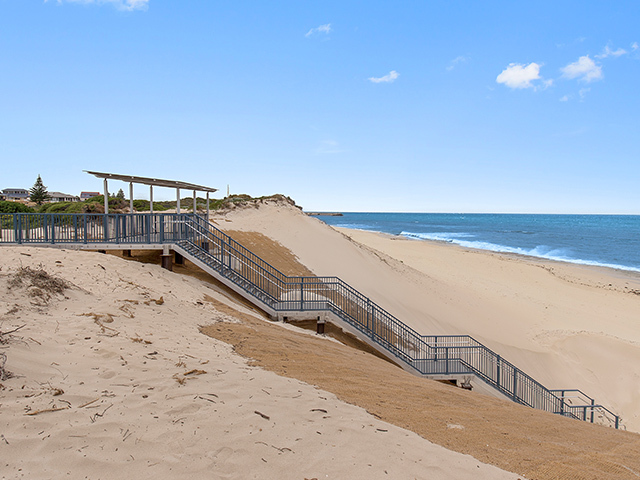 National Precast Concrete Association of Australia member, Hanson Precast, was assigned the task of manufacturing the components for the stairway. Hanson’s project engineer, Robert Merjane, says the stairway’s floating effect would have been difficult to achieve using an alternative building material. Hanson’s Canberra Sales Representative, Drew Lincoln, also believes the final result is astonishing. “It’s incredibly rewarding when we get an opportunity to show off what we can do with precast and landscaping, particularly at the high end,” he says. From the landings to the surrounding walls every element of the stairway was manufactured by Hanson Precast. Overall, the project encompasses 59 stair elements with a light acid-etched finish and 13 polished wall panels. The quality control, high-tech equipment and manufacturing precision that was achieved in the factory accomplished an intricate design that Mr Merjane believes would have been difficult to achieve had the stairway and walls been site-poured.